Is Your Landlord May Be Breaking the Law? Just as renters must follow a legal agreement – aka, the lease – or risk losing their apartment, landlords must follow laws when renting apartments or face consequences. Both state and federal laws affect landlord behavior. Read on to learn common landlord-tenant laws and how you can tell whether your landlord is in compliance. The Fair Housing Act protects potential tenants from discrimination. There are several protected clauses – including gender, race, country of origin and disability. Landlords should screen all tenants the same and accept the first qualified tenant to stay in compliance with the law. If you’re asked potentially discriminating questions such as “What country do you come from?” this is a red flag. If a landlord quotes a security deposit that’s much higher than the going rate, it could suggest a problem. Many states have caps on security deposits – whether that’s one month’s rent or three month’s rent. Some states, such as Massachusetts, require that all security deposits be held in escrow with interest returned to the tenant upon move-out. Check your state’s laws to know how much a landlord is allowed to charge. Nonrefundable security deposits are prohibited in all states. However, landlords are allowed to collect nonrefundable fees – for instance, cleaning fees or move-in fees. When something goes wrong in the apartment, your landlord has a legal duty to fix it. While not everything can be repaired immediately – especially if it involves scheduling a service visit – the important thing to note is that your landlord must address the situation. If weeks go by and your landlord makes no attempt to repair something that’s critical rather than cosmetic (say, a torn window screen), then you may be able to schedule the repair yourself and withhold the cost from your next rent payment. Check your state’s law before you do this, so you know what to point to if your landlord complains. Unless the lease states that the landlord can raise the rent during the lease term, rent increases are prohibited for the duration of the lease. While a landlord may increase the rent at the time of lease renewal, he or she cannot otherwise do so. While some fees are allowed, your landlord may be charging “excessive” fees, in which case you can pursue a small-claims court case. If you feel like you are paying too many fees, contact your local housing authority. It will let you know averages in your area, and how to take action if fees are too high. Tenants have right of occupancy, which means that landlords who want to visit the apartment must provide sufficient notification (usually 24 or 48 hours). Emergencies are exceptions for this, which means you can’t retaliate if a pipe bursts and your landlord drops by without notice to fix it. Many landlords may be unaware they are not following the laws, which is why education is a good first step – as it can preserve a good working relationship. Yet if your landlord doesn’t respond to a polite request, take legal action. 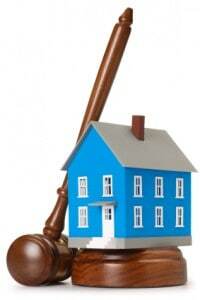 Landlord-tenant laws are on your side.